The cost of running your inflatable hot tub depends on the size of it and how much you use it, the bigger the spa the more water there is to heat and keep warm, the more you use it the more the water drops and the more power is needed to heat it up again. On the Lay-Z-spa site they say ‘We estimate it can cost around *£7 – £10 a week to run based on feedback we have had from our customers’. Of course this will vary depending on your electricity supplier and how much they charge, and also the size of the spa, but this gives you a ball park figure. 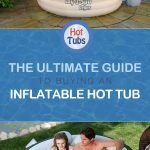 Inflatable hot tubs are a lot cheaper to maintain and run than a traditional fixed solid hot tub you may see with a wooden surround. 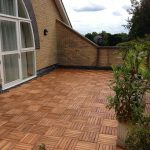 All hot tubs come with a special cover that is insulated to help keep them warm when not in use, you can also buy a floor protector to prevent the cold on the slabs or ground coming up into the spa. Lay-Z-Spas are also thermostatically regulated, the heater will only actually switch on to top up the temperature of the water to your desired temperature, once it falls a degree or two below this as it is easier to keep warm once it drops down a little. *Figures based Spa usage of 3 times a week for approx 25 mins with 20 mins of Lay-Z-Massage including a 5 min interval. Wind-block and cover utilised.